After stopping for quite some time, K picked up reading again in the last week or so. Of course, before that, I tried to encourage him to read but it was just that: light reminder. And no action thereafter. However, in the past few days, he was infected with some sort of virus that motivates him to read… non-stop. 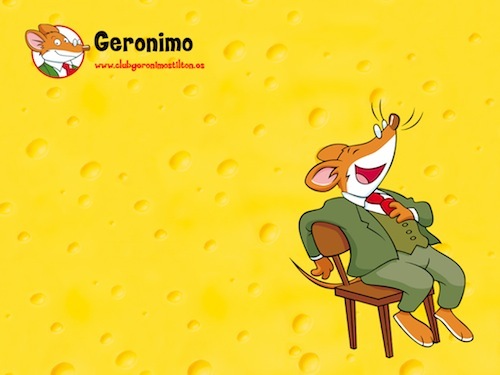 After digging up old issues of Gemelia and re-read for the n-th time, the virus took interest in adventure stories of a popular mouse, Geronimo Stilton. Ever since last week, on average, K has finished a book each day. Quite an amazing feat for an eight-year old. It might not be shocking for you but at least for me. I didn’t set him the target of one book a day but it somehow “evolved” naturally out of him. He is hooked on the mousy stories and he even brings it to school to read when he has the time. I must admit this virus is no ordinary one and the sustainability is very strong. It also set K on a reading marathon which is still going on until now. What’s the moral of the story? I am glad you asked. You don’t need to force things out. When the time comes, things will fall into place. The only thing you need to do is to create/prepare a conducive environment and lay the foundation right. No need to hurry. I have shared a little secret on how to instill reading habit among young children in my book “The Nonconformist’s Guide to Parenting.” I guess this is the result of what is happening to K now.